This 45 minute DVD features 50 time World Footbag Champion Kenny Shults teaching beginning to advanced stall techniques. Produced in co-operation with Flying Clipper, this DVD is a must for all level kickers. Kenny Shults takes you through all of the stall moves, basic to advanced, he is the Master. 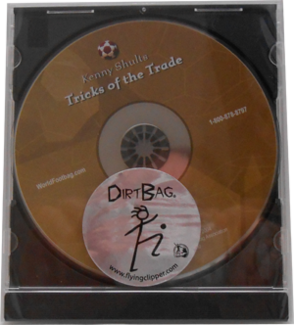 On this DVD Kenny uses our Juice Facile Footbag...and thats not by accident. Thanks Kenny!